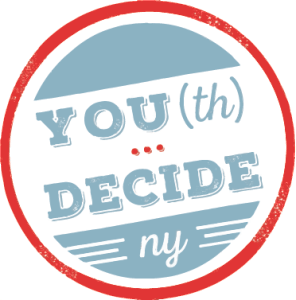 YOU(th) Decide NY was developed to empower teenaged youth (like you) to learn about the dangers of underage gambling and to share that knowledge with their peers, parents, and communities. Am I eligible to volunteer for YOU(th) Decide? Why should I volunteer with YOU(th) Decide? ASK him/her to sign a resolution of support for underage gambling prevention and/or a gambling-free event policy.